Why Am I Subscribed to SiteWit's Premium Analytics? As Yola's exclusive partner for analytics services of websites, SiteWit offers free website analytics and also a 60 day free trial of our lead generation tool "Connect" to all Yola customers. Because of this integrated partnership, you benefit from a free Premium account to view and analyze visitors' browsing patterns and their level of engagement while they browsed your website. Rest assured, the financial credit card data which you submitted to Yola does not carry over to SiteWit Corporation. Yola and SiteWit are two distinct entities. 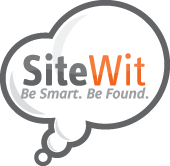 As you have not purchased any of our paid services (paid search advertising), you have not been prompted by SiteWit to enter any financial information. Therefore, SiteWit does not have any of your financial data stored, nor will you ever incur any charges originating from SiteWit. Our paid products are Pay Per Click marketing packages for your website. If you are considering driving traffic to your website using Google or Bing, then we would suggest creating a campaign and looking at the pricing packages upon checkout. Pay Per Click advertising involves having an ad for your website on the first page of Google or Bing so that viewers can locate your website and click through on the ads to get there. It is the most relevant form of advertising for your business, so feel free to look at the pricing packages, they are very reasonable.